A racist dad and his son called an Asian cab driver a terrorist in a foul-mouthed drunken tirade before walking off without paying the fare. Thomas John Walsh, 59, and his son Andrew Thomas Walsh, 28, both of Altrincham Road, Wilmslow, also asked cabbie Kamel Choudary if he was a member of Al Qaeda and the Taliban. Then when asked to pay the £20 fare Thomas refused and Andrew Walsh called the driver a ‘P*** b******’ before they both walked off. The judge ordered Thomas Walsh to go on an ‘Against Human Dignity’ programme to learn not to be a racist after the attack on Mr Choudary, who now has panic attacks and fears going to work. Sentencing the pair at Chester Crown Court, Judge Nicholas Woodward told the defendants: "He will have to carry that with him for the rest of his life. "You both should be thoroughly ashamed of what you did that night." Mr Choudary, who works for Kingsway Taxis in Burnage, had picked up the pair in Didsbury after a night out in December last year, Chester Crown Court heard on Tuesday (July 13). Prosecuting, Martin McRobb, said: "Mr Choudary picked them up from the Royal Oak pub in Didsbury at midnight. Then a conversation began between the defendants about the September 11 attacks. "Thomas was in the front passenger seat and became angry and abusive launching a foul-mouthed tirade at Mr Choudary and started making comments about Muslims and Pakistanis and said it was clear there was a link between all Muslims and terrorism. "Mr Choudary tried to disengage them and said he was Bangladeshi but it didn’t work. Then when they stopped at Altrincham Road they refused to pay the fare and Andrew called him a P*** b****** and they both walked off." Immediately afterwards Mr Choudary called the police and they went to the address in Wilmslow where he had dropped them off. Mr McRobb said the driver was left shaken by the incident and still has panic attacks and now fears picking up passengers. Simon Parry, defending Thomas Walsh, an air conditioning engineer of 26 years, said he was a ‘decent person’ who has held down a good job and is well thought of in the community. He said: "It is clearly a distasteful incident and it has had an affect on Mr Choudary. But this event was affected by drink and does not reflect Mr Walsh’s true character." Myles Wilson, defending Andrew Walsh, said: "He had had a drink and foolishly decided to side with his father. These are not his views and it is totally out of character for him." Judge Woodward told the defendants: "You both committed a shameful offence of racially aggravated public disorder and Thomas you also added injury to insult by making off without payment. "It is clear a lot of alcohol was drunk and on the journey back Mr Choudary, who was going about his usual business, was subjected to racist comments from you and the night ended for him with you refusing to pay. "Then Andrew, you added your tuppence worth and left Mr Choudary feeling extremely upset." Thomas who pleaded guilty at an earlier hearing to racially or religiously aggravated intentional harassment, alarm or distress by using words and making off without payment was sentenced to a 12 month community order with the requirement that he undertakes an Against Human Dignity programme and an alcohol activity programme. Andrew, who pleaded guilty to the same harassment offence, was given a 12-month conditional discharge. They were both ordered to pay £800 court costs and the pair also offered to pay the £20 fare to Mr Choudary. 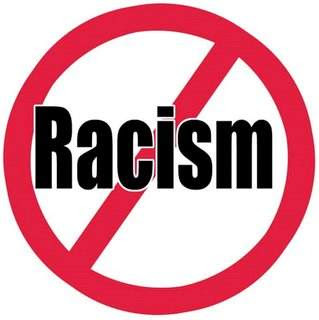 Against Human Dignity’,is a probation programme specifically for racially motivated offenders. It addresses issues relevant to offenders’ understanding of racism and prejudice.